I have quite a good number of masks in my skincare collection, but surprisingly I do not have any that I mix. And then in a matter of a few weeks, I had two different ones arrive for me to test and I wondered how I managed without one in my arsenal all this time. 1. May Lindstrom Skin The Problem Solver - This mask means business! Holy cow. 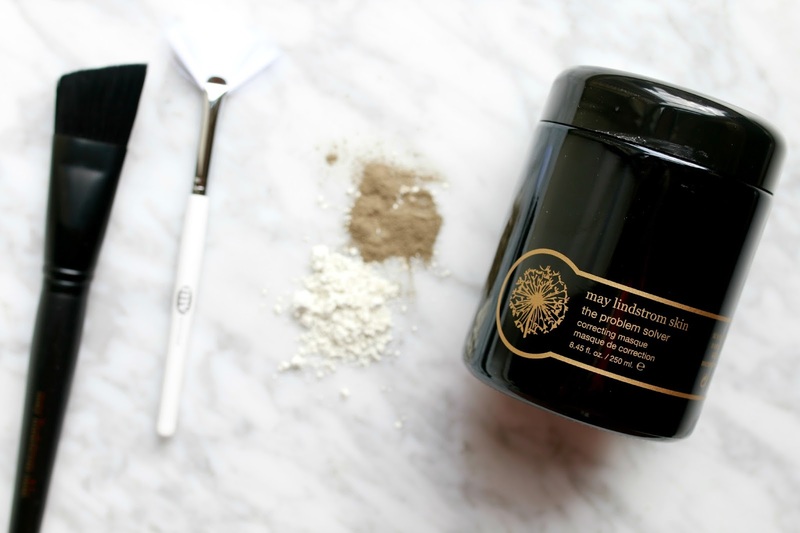 Formulated with charcoal, soil nutrients, cacao and exotic warming spices, it is really going to make you feel like it's working on your skin. Mix equal parts water and powder to form a light mousse texture and then use the brush to paint it on the skin (that is my favorite part - so luxurious). You can leave it on for up to 45 minutes, but be warned it will definitely tingle and has a slight warming sensation. I would patch test this if you have sensitive skin. Luckily, my skin is not sensitive so I was happy to feel it working. After almost an hour, I went to rinse it off and in addition to the purifying properties of the mask, it gives an amazing exfoliation as you remove it. My skin looked clean, radiant and felt like I had just had the facial of my life. It is clear that May only puts the best into her products just based on how the skin looks after using her products. Next on my list to try is this cult classic and this face oil. Both sound like heaven for the upcoming cold weather! 2. 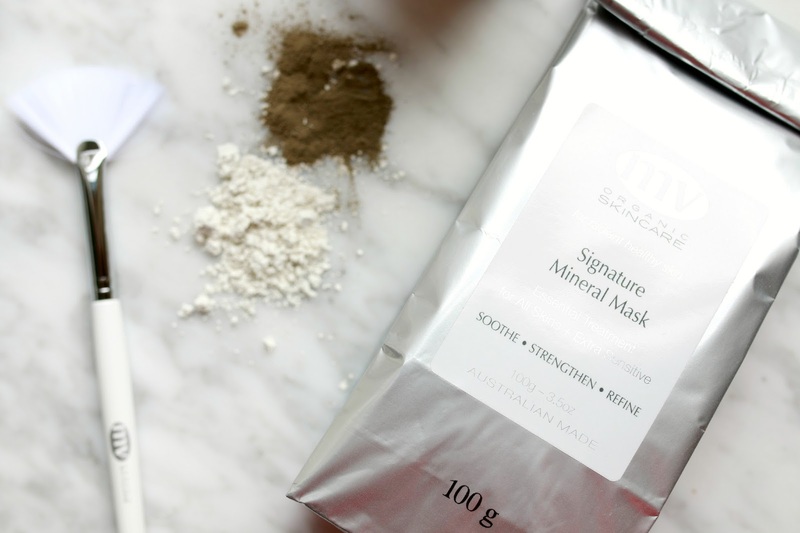 MV Skincare Signature Mineral Mask - This was the first mask I tried out of the two, and it gave a real "wow" effect from the first use. The texture of the powder and subsequent mask is a bit more gentle then the one from May Lindstrom. It is so finely milled that I took a deep breath while scooping it out and it went all over my bathroom sink. Whoops. Once I got the hang of mixing it (once again equal parts water and powder), this really gives a deep clean but without any tingling. But don't let the gentle nature of this mask fool you, it is like a hoover vacuum for your pores. In fact, the first time I used it, I stared at my pores in the mirror for 2-3 minutes after because they looked as if I had had extractions done. THAT is how clean they were. But surprisingly, that is not even the mask's intended purpose. It's designed to help calm, nourish and soothe the skin, but I found that an added bonus was the clarifying effects it had on my pores. Add a few drops of one of their boosters (I love this one) to give the mask an extra oomph. And if you purchase the mixing bowl and brush with it, you can have your own spa day without ever leaving your house. YAS! Living that robe life while masking all day. There is nothing better.